Book Illustrations vary from serious and realistic to fun and child like drawings. Check out how I interpret the words into pictures and make it come to life, transporting the reader into a new world. 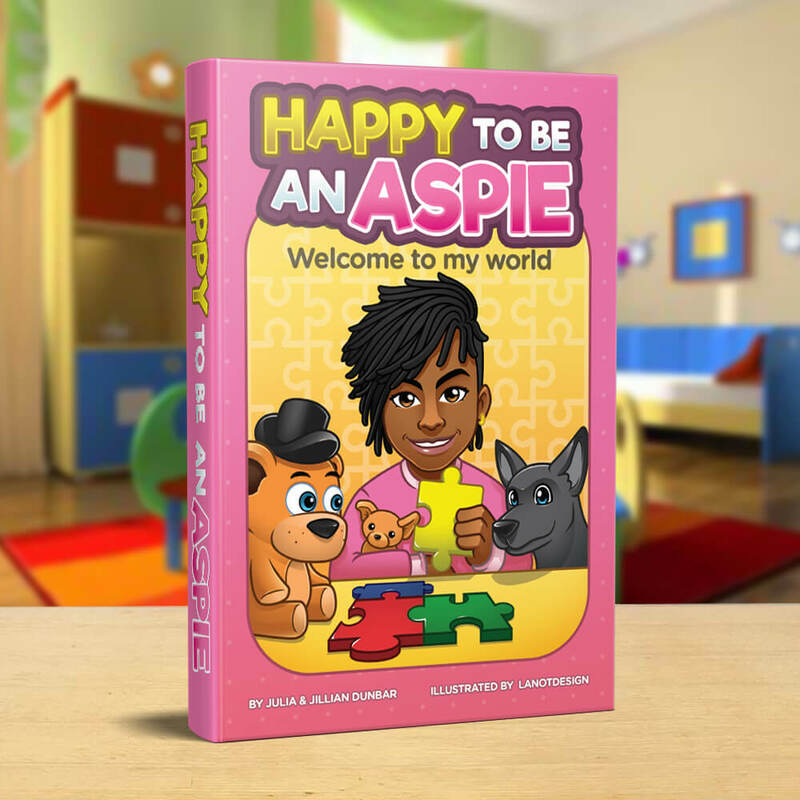 "Happy to be an Aspie" is about a schoolgirl who has Asperger Syndrome confronted with everyday problem due to her condition. The girl is my Client's daughter, it is made so people around them see her daughter in a different light. I am also challenged by this project because I know how important this book is to my client, Julia. But just like the main character I too conquered the tests with a pen and a tablet in hand. The illustrations are defined using various thickness of outlines. The further items have thin lines and closer objects are set up with thick lines for emphasis. Julia is already completing her second book, wait for an update from me about it. 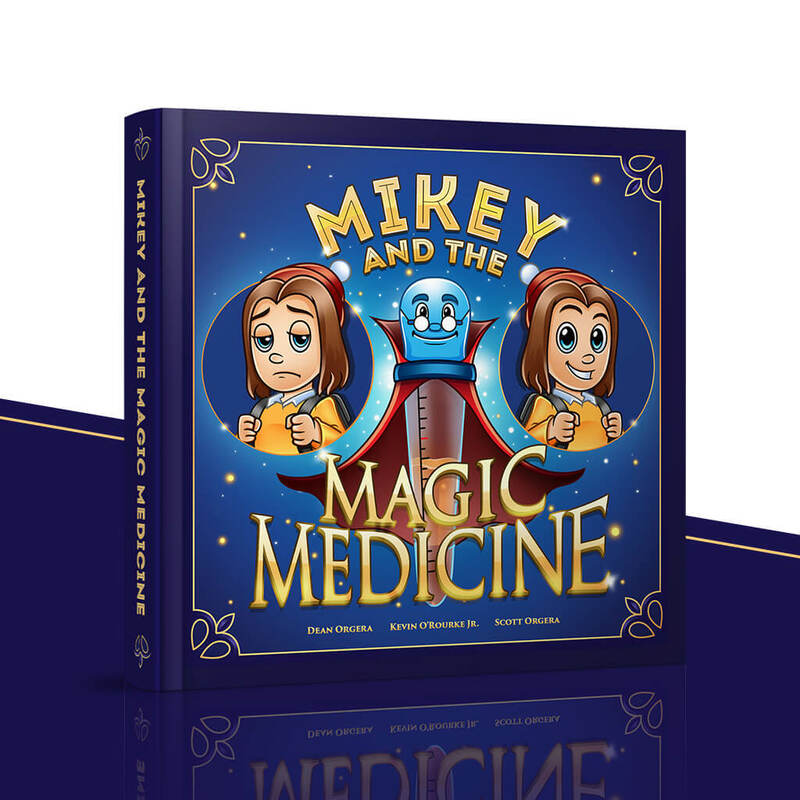 Our New York-based client approached us to do a set of illustrations for Mikey and the Magic Medicine. A children's book tackling how germs around us work. I was very excited for the project and tackled it head on. It was very easy for us to do the style that he wanted, was very familiar and we knew it like the back of our hands. The project, as usual, turned out to be a success! It was not only because we are already an expert in illustrating children's book, but also because the client was superb in providing instructions and feedback. Me and my daughter are now excitedly waiting for our copy of the book. Children’s storybooks rely on great visuals and intricate use of symbolism to captivate and to inspire. I may not be a doctor or a nurse like a character in my client’s book Ana Tomy, but you can say that I practically saved his life. Projects could come from the least expected of places. This time, Ms. Vinita Ramtri found us on Twitter. The book was written by both Vinita and her son Rocco, when he was still 7 years old. Both of them just love adventure and they also love writing and travelling via train. 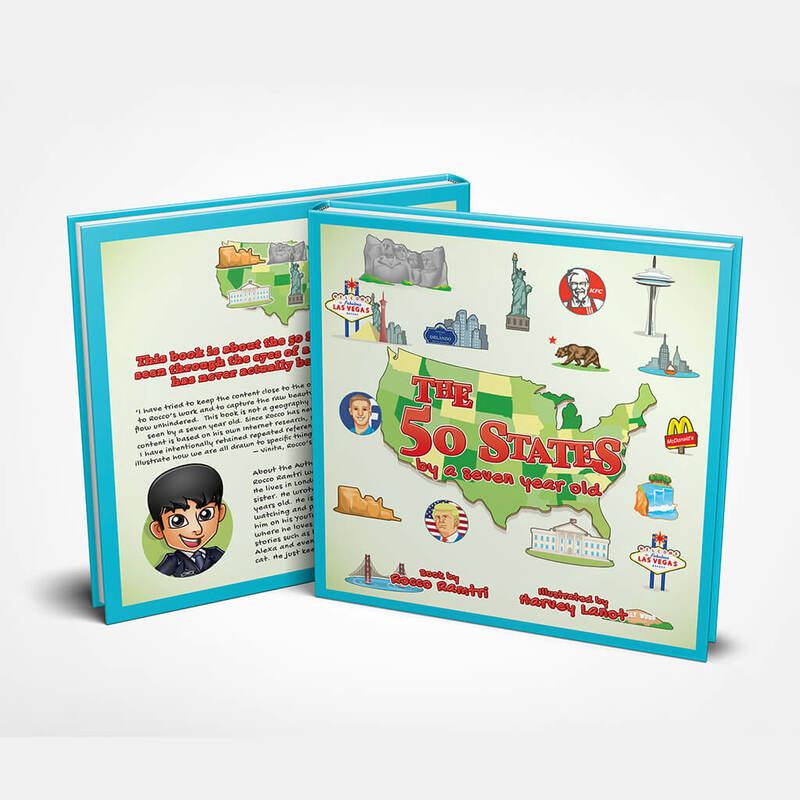 Does the book is about the 50 States of the US – their history that makes them interesting, and their prominent landmarks. I was really ecstatic about doing the illustrations. Vinita self-published the book and it’s available on Amazon. 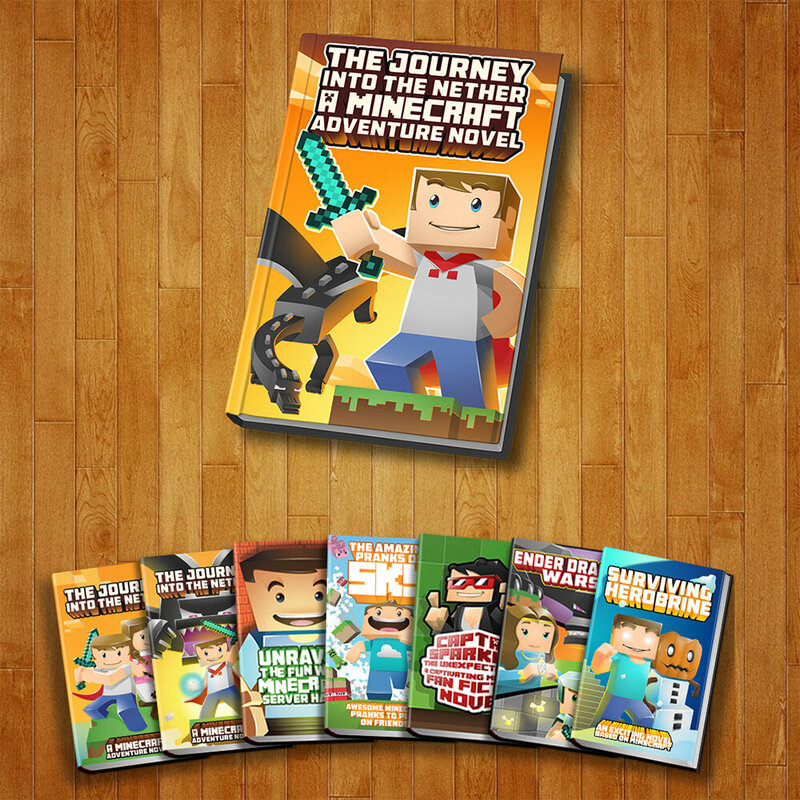 Minecraft’s eight-book long series introduces children to the 8-bit protagonist named Alex, who has a larger than 8-bit personality. Take a sneak peek on the adventure within the book cover through my attractive front page illustrations. With the goal of enticing children into purchasing the books, my art was based on each of the character’s personality and what the story would be about. The elements were carefully-chosen to maintain the veil of mystery and to keep the audience wanting more. My client was more than satisfied with the final output, and I’m glad. Also knowing that I contributed in his fulfillment as a publisher is a great accomplishment for me. See their books here.